Over 40 different models available......SVMP brings you Quality & Selection! All of our chinrests are high quality and beautiful in form and appearance. Each one is made from the finest natural materials including ebony, rosewood, and Turkish Boxwood and completely hand polished. 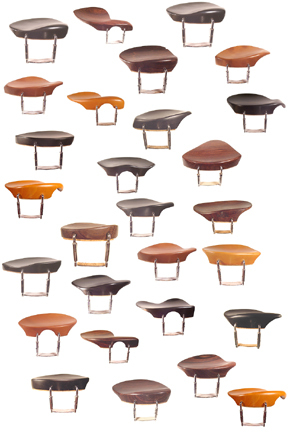 A special fuming process makes our boxwood chinrests particularly warm and rich in color.